Do pop along and have a look at the site, and I'd be interested in any feedback as it is my first website so all completely new to me!! If you've been experiencing a time of struggle or hardship, this card assures you that this is about to end, if it hasn't already. These tough times were a period of initiation and through them, you have reached a new level of being and instigated deep transformation within yourself. It's almost like you have been put to the test, and now have stepped through the gate of transfiguration. A new way of life has been accepted and things will never be the same again...and this is a good thing! This card heralds a time of fulfillment and accomplishment, success and power, joy and inner peace - and it doesn't get much better than that! View this card turning up today as a reward for past achievements and a time now of preparation for the next climb up the path. It is time for action! 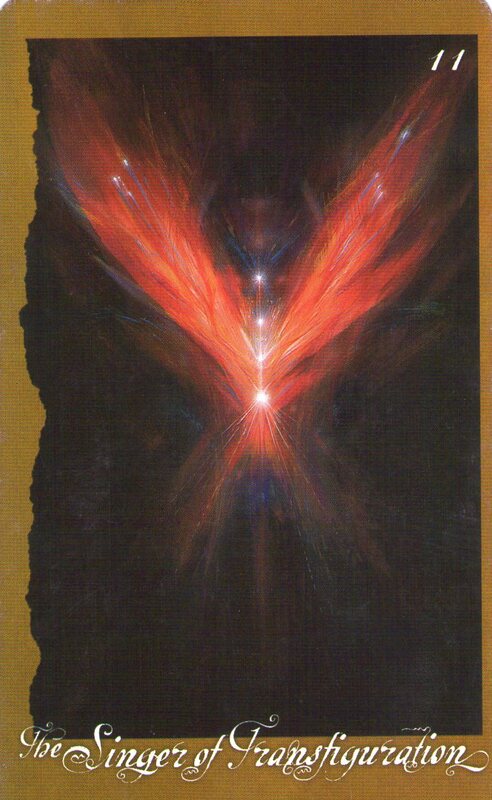 This is the card of pure Yang energy and when he turns up in a reading, it indicates that now is a good time to tackle all those things you have been putting off, the things that are going to require a lot of effort, or time, or willpower. 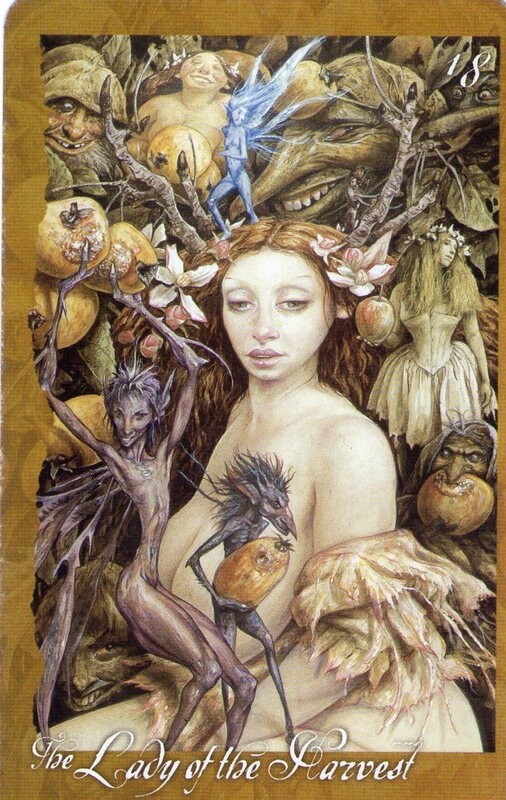 If you have tough decisions to make, this card reassures you that you will find the most suitable and most compassionate way to move forward - all you have to do is ask for assistance (from the faeries, the angels, the universe, the Tao, God/dess - whatever feels right to you) and you will receive it. 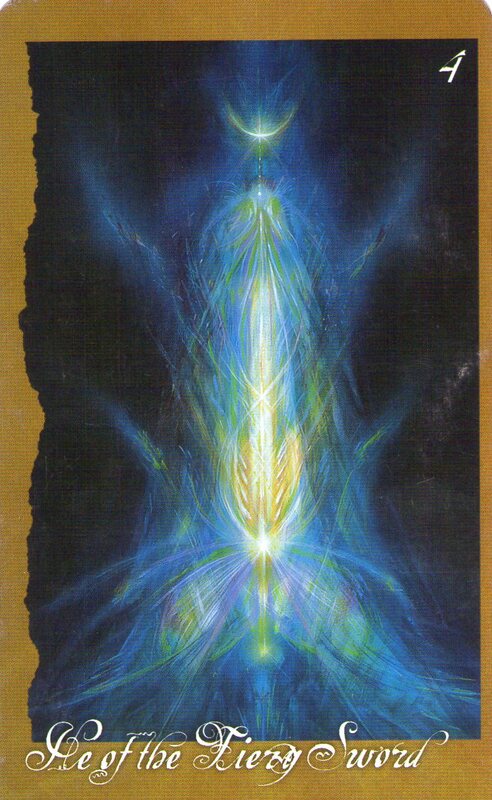 He of the Fiery Sword also provides us with the strength and willpower we need when we are bursting the bonds of an outgrown way of being, and moving on to the next level. 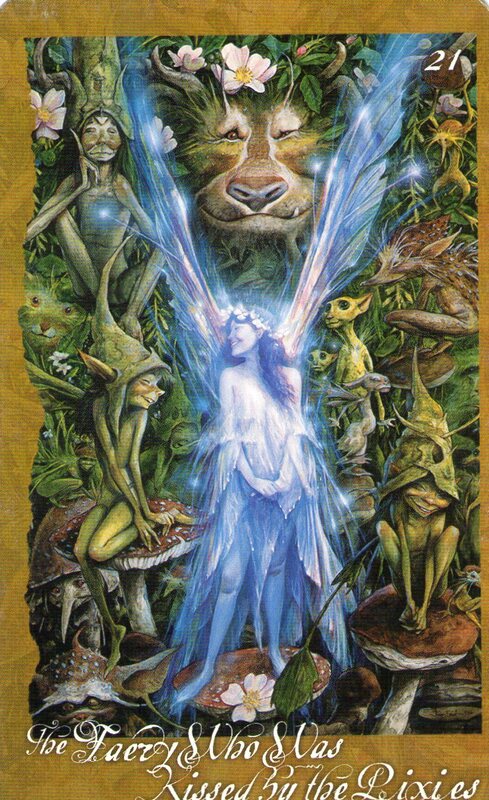 This card can sometimes be associated with loss, regret and grief, as she is the card of letting go of what is finished and moving onto the next phase of your life. Sometimes, letting go can be a joyful thing, for instance, letting go of old traumas, tasks or stages in your life that you are glad to have finished, unhappy relationships and feelings that cause you pain and inhibit your growth. So, release and liberation can be painful or joyful, depending on the circumstances. Cry if you need to, celebrate if that's appropriate - the important thing is that you accept the changes in your life, trust the process, acknowledge what you feel and then prepare to move on to better days. This card is all about pure, unconditional love and recommends that we open our hearts to this now. We're not just talking romantic love here, this encompasses all types of love and committed relationships. Sometimes, it is a bit scary to open our hearts in this way, as it leaves us vulnerable to loss and grief - once bitten, swice shy and all that - but this card assures us that there is no pain that is not balanced by the greater joy of love. So, if you have closed your heart down for fear of being hurt, now is a good time to open up again. Know that it is totally safe and by doing so you are, in effect, inviting in and welcoming changes for the better to take place in all areas of your life, but especially in relationships. This is the card of self-expression through creativity. If you are working on a creative project, Spirit Dancer is encouraging you to share this with others. This can be quite a scary thing to do...when you are working on something that is important to you and then you share it with others, you are really putting yourself on the line and letting them see your true self. There is always the fear that they won't "get it" or worse still, that they will criticize or ridicule you. 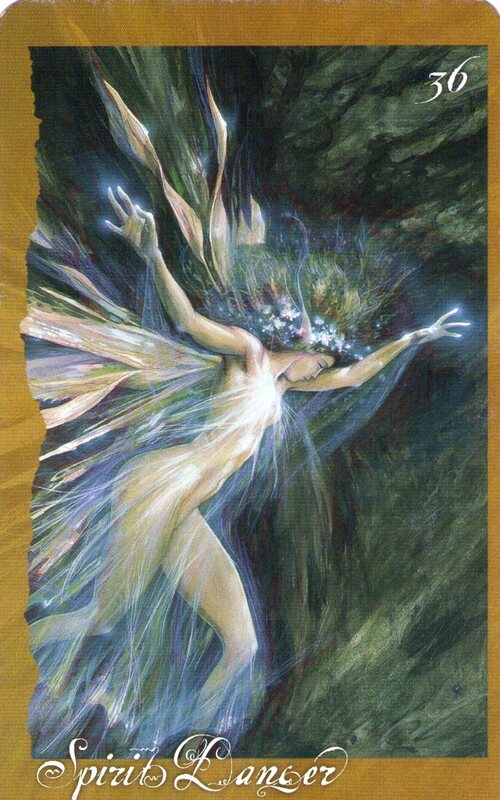 Spirit Dancer acknowledges these risks, but assures you that sharing your creativity now will be a good thing; if you reach out from this illusion of separateness, you are reaffirming your essential connections with other people and this is very important for clarifying your vision and releasing even more of the creative potential within you. So, be brave, take a deep breath and let them see what you're really about! 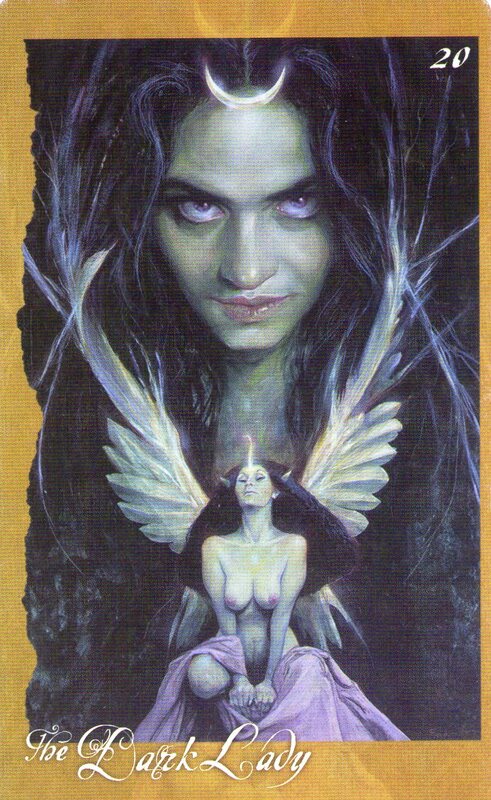 The Dark Lady is all about profound inner change, and may even signify a time of rebirth. She says it is important now to withdraw from the ordinary as much as possible and to avoid being "busy-busy". This is a special time, what is hidden is getting ready to be revealed - imagine it like seeds about to sprout out of the earth - and you may find you want to spend some time alone. Work on your inner world, on your self-awareness and self-knowledge and you will be surprised by how your psychic powers develop and how magic suddenly starts to happen in your life. Retreat, meditate, seek serenity and inner peace. Go with the flow here and don't resist these changes; understand that they are all a part of the natural cycle of life.